Sampler 2 kicks off with SCB’s Dissipate, a gritty 4/4 number that’s been driving dancefloors crazy with its seemingly constantly ascending intro. This is definitely one of SCB’s finest productions to date and hugely sought after by his followers. 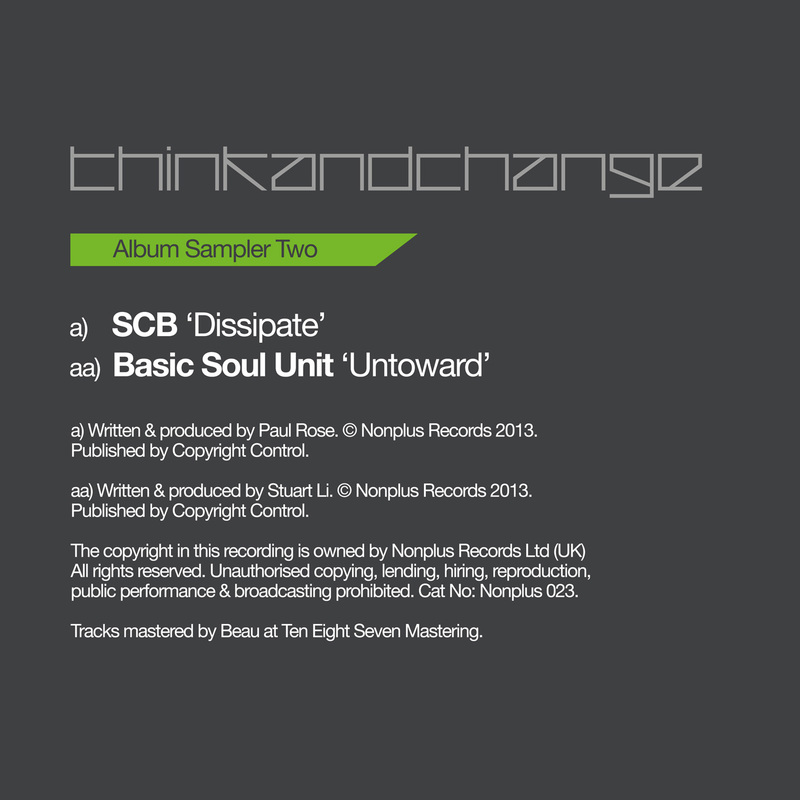 Basic Soul unit provides the AA side, hot off the back of his debut Nonplus 12” he continues in the same vein with ‘Untoward’. This is heads down techno of the finest quality and this time he’s thrown some acid into the equation which bubbles and brews into a monster of a track.